Recently, I found some this great resource which can be very helpful in prepping for the Big Day on May 11. Check it out! Join the "GVC Blood Donation Team"! Please print the form below and bring with you to your first donation! 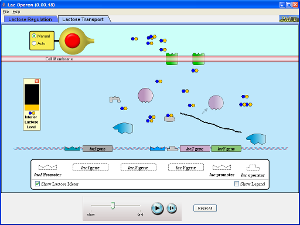 - MIT OpenCourseWare lesson on Gene Regulation. Click here to access the MasteringBiology practice test. Big Idea 3 Test 1 on Tuesday! Check out MasteringBiology Study Area for great resources as you study! For example, try out the practice tests. Click on this link to load the LabBench activity. Click on this link to do the Inheritance activity with flies. Click on this link to open the BiologyLabsOnline site. There are updated copies of both Lab Report Template files and Lab Report Evaluation Guidelines (Rubric) now available on the site. Enjoy! For additional copies and answer keys, please use the following links. NOTE: Answer Keys now added!